When I launched my new podcasting book recently, I had a halfway-decent promotional plan mapped out. My mailing list would be the centerpiece, my Twitter account would dribble enticing podcasting quotes, hashtagged to capture attention from interested folk, my friends would RT me or post promotional tweets of their own, and I’d pop in to forums & try to helpfully answer questions about things that could be found in my book. None of this is super-advanced in terms of marketing, just a dedication to executing on some basics – which is good, because my marketing skills are basic! What was NOT a part of my initial plan was for the book to be launched on Product Hunt. All things being equal, I wanted to get listed, but I honestly knew very little about it. I had an account on PH but had never used it. I had heard many stories about creators and founders posting their product to PH and seeing it promptly disappear. Reading the rules regarding who is allowed to post comments and who isn’t, and how it’s all determined, I got the vague sense that being launched on Product Hunt was like ordering from the Soup Nazi on Seinfeld – one mistake, and you’re outta here! Man oh man, did that turn out to be wrong, but we’ll get to that in a minute. I had decided to skip PH entirely. I was uncomfortable with how little I knew about the site and the culture and the users, didn’t understand the rules, and figured it was probably not worth the trouble. Little did I know that some of the people I had spoken to about the book along the way thought that my decision to skip PH was crazy. They thought my product had a lot of merit, and one of them went ahead and posted it on Product Hunt of their own accord, telling me about it after the fact. “Thanks, pal!” I thought. “This is going to be a pain” – but I was so wrong. My e-mail list sent some traffic to my book page, as well as my various social media postings, but PH was the 800-pound gorilla in the room that day, sending me about 90% of my launch-day traffic! I participated in the comments on PH about my product, hoping to put a human face on RECORD & RELEASE and prevent it from falling into the black hole I’d heard so much about. Not only did my product not fall into a black hole, it kept getting voted up! And up…and up..and…you get the picture. By the middle of the day, my book had firmly latched on to the #5 position, and held it. And just like that, without meaning to, I was on the other side of a product that had been launched on Product Hunt. It had been a long time coming, and it was very satisfying. “Congratulations!” people told me. “That was great, a lot of people found your product compelling, now you’re going to be in the newsletter!” I had no idea what the newsletter was. Honestly, I still don’t. But it sounds like it will drive a lot of traffic, so I’m excited! Plus, all the people I interacted with on PH were really cool. Hell, the reason I’m writing this is because the people who work at PH were so cool to interact with. PH can make or break a product launch. The culture of the site values merit over popularity, which I appreciate. This little book of mine might really have legs, if I market it correctly. Launch Day was great and I’m stoked that it happened the way it did. PH was a huge part of it, and I’m thankful for that. I’m now making it a point to participate in the site more, upvoting meritorious products in an attempt to pay forward the good fortune I enjoyed from having my product received well on the site. 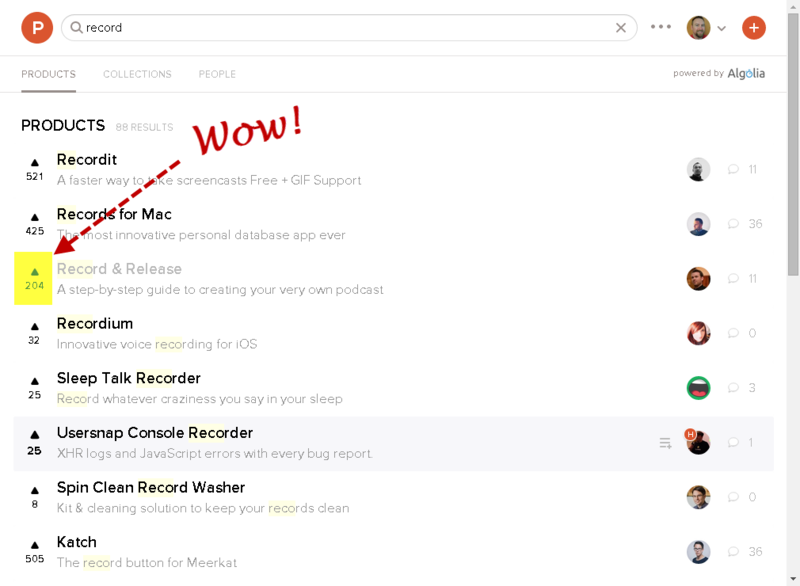 Are you planning to list your next product launch on Product Hunt?